Providing a unified voice for excellence in visitor use management on our nation’s federally-managed lands and waters to sustain resources and quality visitor experiences. Six federal agencies—the Bureau of Land Management, Forest Service, National Oceanic and Atmospheric Administration, National Park Service, U.S. Army Corps of Engineers, and U.S. Fish and Wildlife Service—collaborate on the Interagency Visitor Use Management Council. Council collaboration is designed to increase awareness of and commitment to proactive, professional, and science-based visitor use management on federally-managed lands and waters. 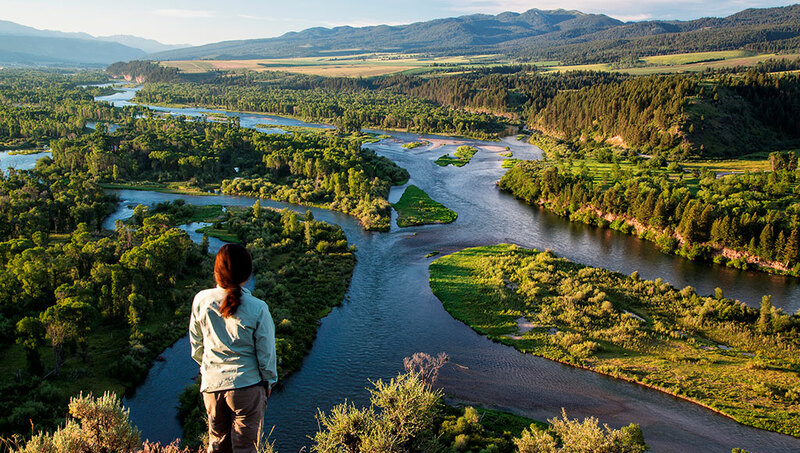 Providing a consistent approach to visitor use management better serves the public by creating seamless connections between lands and waters managed by different federal agencies. Visitor use management is the proactive and adaptive process for managing characteristics of visitor use and the natural and managerial setting using a variety of strategies and tools to achieve and maintain desired resource conditions and visitor experiences. The Interagency Visitor Use Management Council is excited to share its Visitor Use Management Framework, Edition One. The framework provides a flexible process for managing visitor use on federally managed lands and waters that can be incorporated, as appropriate, into existing agency planning and decision-making processes. The council recently released a new position paper, Visitor Capacity on Federally Managed Lands and Waters: A Position Paper to Guide Policy. The purpose of the position paper is to document the council’s position on and recommendations for addressing visitor capacity generally, and specifically in accordance with the visitor capacity requirements found in the Wild and Scenic Rivers Act, National Trails System Act, and National Parks and Recreation Act. Interagency Visitor Use Management Council members and technical advisers presented in a two-part webinar series co-hosted by IUCN World Commission on Protected Areas Tourism and Protected Areas Specialist Group and the council. The presentations focused on implementing the Visitor Use Management Framework into ongoing projects. In Part I, presenters provided an overview of the Visitor Use Management Framework as well as a case study using the Zion National Park Visitor Use Management Plan. In Part II, a brief overview of the Visitor Use Management Framework was provided followed by case studies using the Petroglyph National Monument Visitor Use Management Plan and USFS Pike National Forest Bear Creek Watershed Restoration Project. In the following podcast, Jennifer Reed (USFWS) from the Interagency Visitor Use Management Council Executive Committee explores the basic principles and strategies of visitor use management, and the simple, accessible tools you can use to effectively tackle projects involving visitor use of protected areas. Learn how you can use the Council’s tools to help you connect people with our healthy landscapes while insuring the landscapes continue to thrive now, next summer, and 50 years into the future. 2019 National Environment and Recreation Research Symposium (NERR). Organized by the National Environment and Recreation Research Association. April 7–9 in Annapolis, MD. 2019 National Outdoor Recreation Conference — Storytelling in Outdoor Recreation: People, Places, Landscapes, Cultures. Hosted by Society of Outdoor Recreation Professionals. May 6–9 in Rapid City, SD. 25th International Symposium on Society and Resource Management (ISSRM) — Sustainability and the Land Ethic in the Anthropocene: “A Thinking Community” Explores Critical Issues in Leopold’s Backyard. Held on the campus of the University of Wisconsin Oshkosh. June 2–7 in Oshkosh, WI. 2019 Pathways: Human Dimensions of Wildlife Conference. Hosted by Colorado State University. September 22–26 in Estes Park, CO.